A new favourite app…apart from the name! From time to time I post things about apps that I am making use of in the classroom on the iPads that the pupils I teach all have. One of the limitations I have in this area is that the apps essentially have to be free. Generally the school has a policy that if the app is one that is likely to be used by multiple subject areas they may consider buying a collective license, but if on department, and certainly if it’s just one teacher who’s involved it has to be a freebie! The art department this understandable policy often presents a problem. There are many good drawing and painting apps out there, but most have restrictions and limitations with the free versions that simply make them less interesting to use. 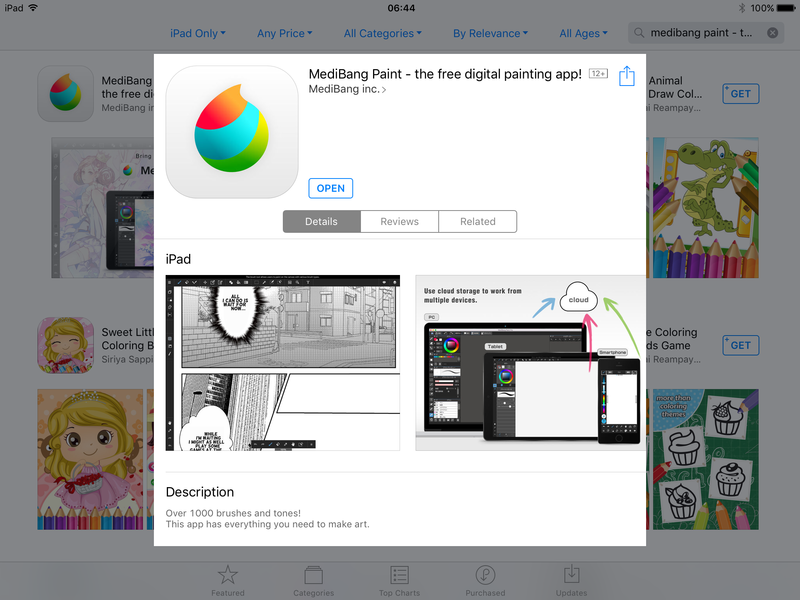 But one that doesn’t suffer from this problem is the truly awfully named MediBang Paint. Whoever thought of that name! Aside from the name though, this really is an excellent app, with a tremendous range of well-organized possibilities. I’ll be using it during the coming weeks as an extension of an abstraction project that I have been working on. For this application I particularly like the guided drawing tools that allow you to work extensively with concentric circles, parallel lines or with a vanishing point (see the example below). When my pupils have had a go at producing their own designs I’ll post more. Once a year I host a meeting of arts teachers who teach in Dutch bilingual education. This post is especially for those who attended the afternoon meeting on Wednesday 16 November. If you didn’t attend you are of course more than welcome to read on! It was such an enthusiastic and engaged afternoon, thanks to all those present for such active participation……it makes leading such an afternoon so much easier and enjoyable. If I am sent more of the clil lesson material that was made during the workshop I’ll add it to the above. The discussion on Wednesday afternoon was very open, free and very useful. To continue that discussion do feel free to contribute to our online forum in the ‘tto art’ group on Facebook. It is a closed group, but send me a request and I’ll open the digital door!